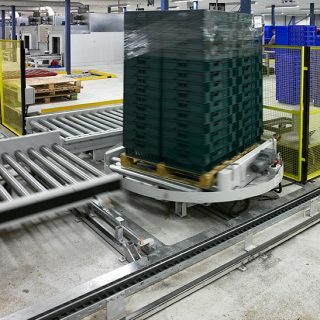 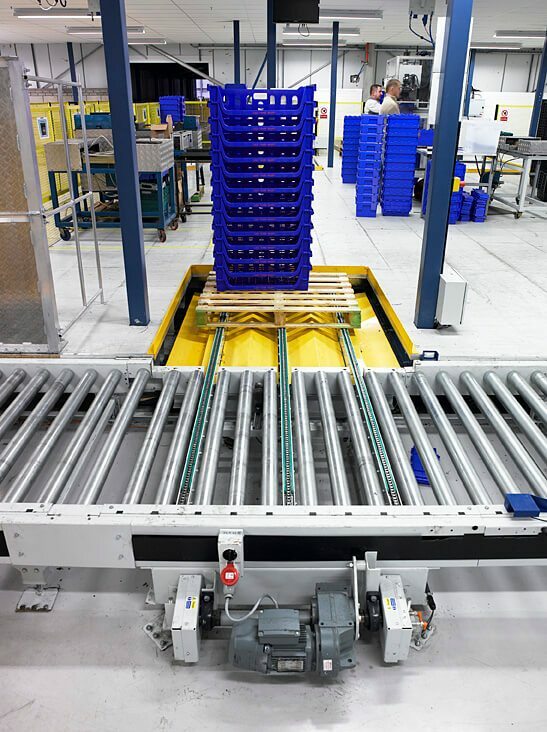 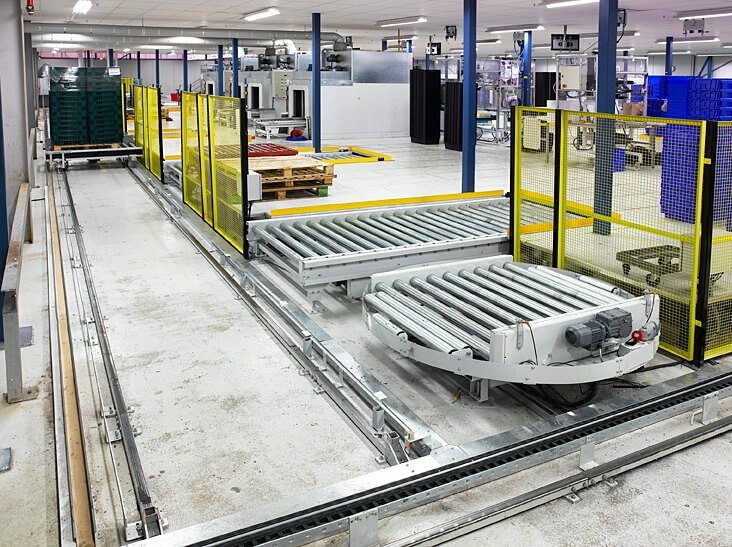 For mainline assembly or kitting operations, our range of heavy duty powered roller conveyors offer a cost-effective solution to automating assembly lines. 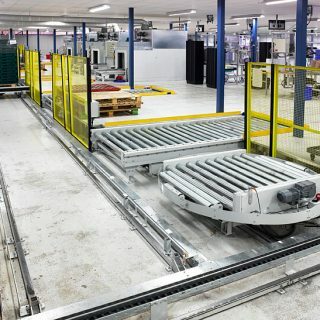 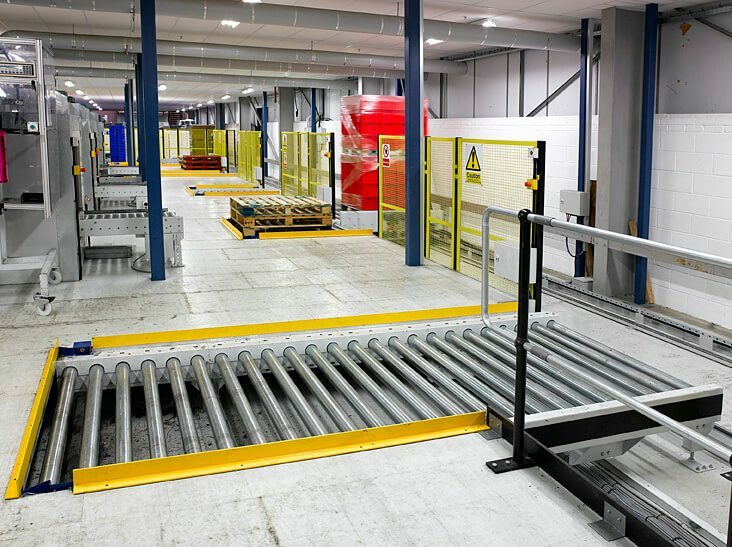 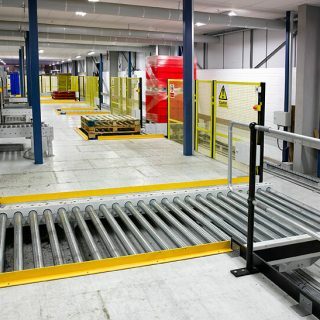 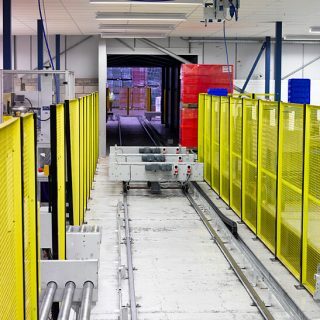 Our range of powered roller conveyors used within the manufacturing sector are of a robust design and generally based on our chain-driven powered roller conveyor. 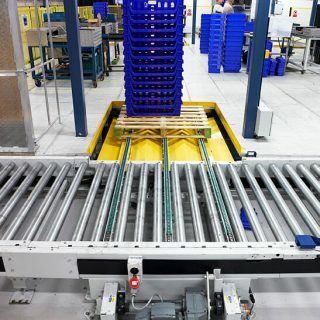 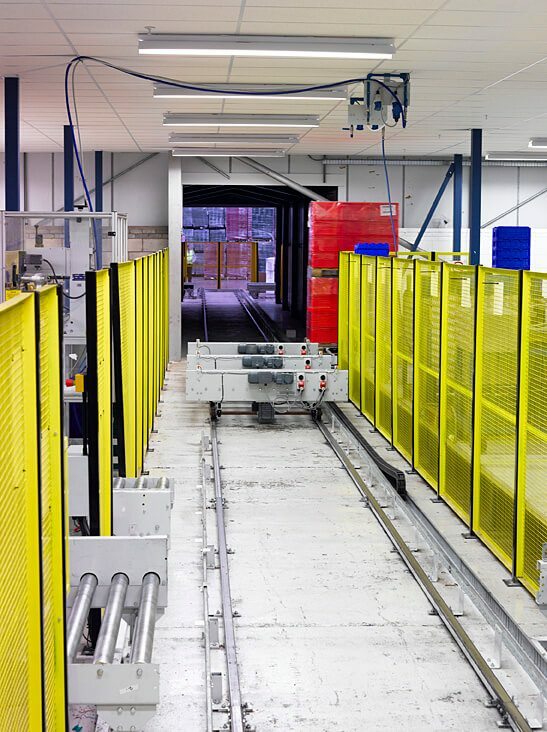 The width of the conveyor and pitch can be customised and manufactured specifically to suit the product being conveyed. 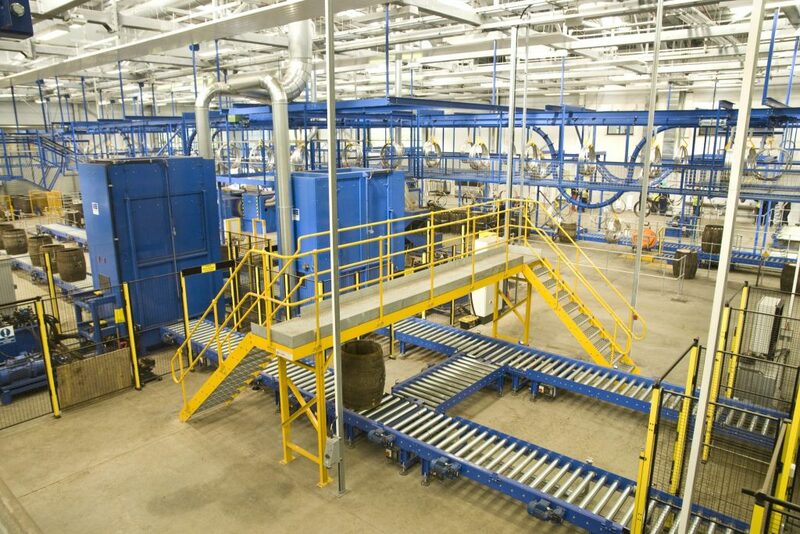 In most instances, there will be stop or transfer positions where an assembly or test operation will be carried out. 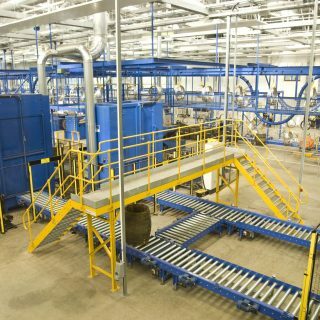 Zero line pressure or low back pressure conveyors are available where a product may need to queue between processes. 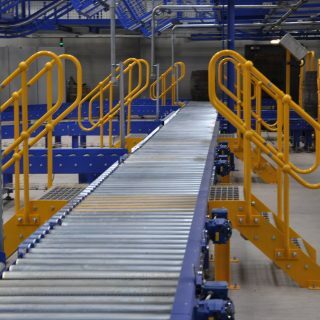 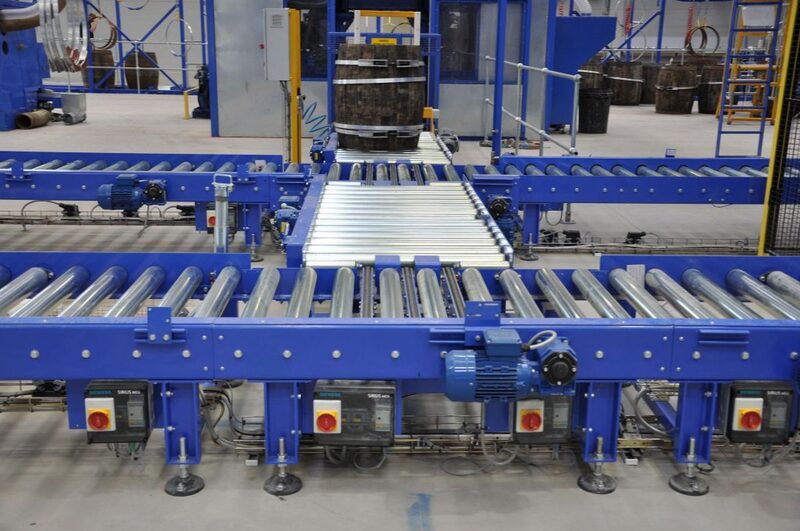 Our roller conveyor frameworks are generally constructed from robust mild steel folded sections, but can also be supplied in stainless steel or aluminium. 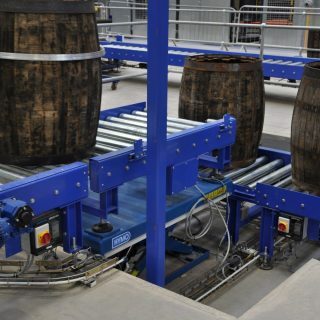 Roller diameters are available from 40mm right up to 200mm. 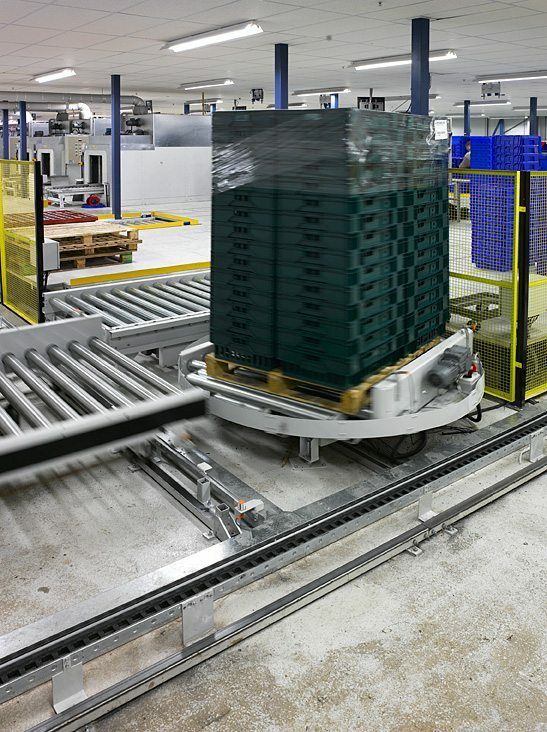 Conveyors can either be belt or chain-driven, subject to the load being conveyed. 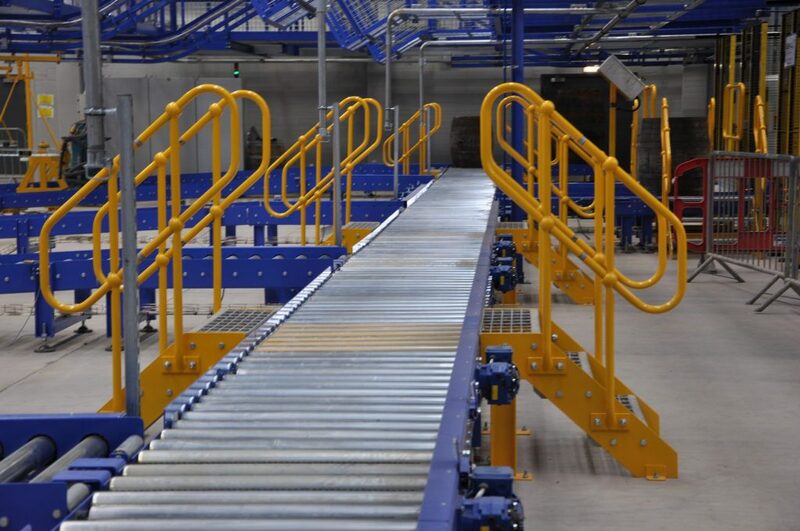 Individual loads of up to 8000Kg can be transported on the heaviest of our powered roller conveyors. 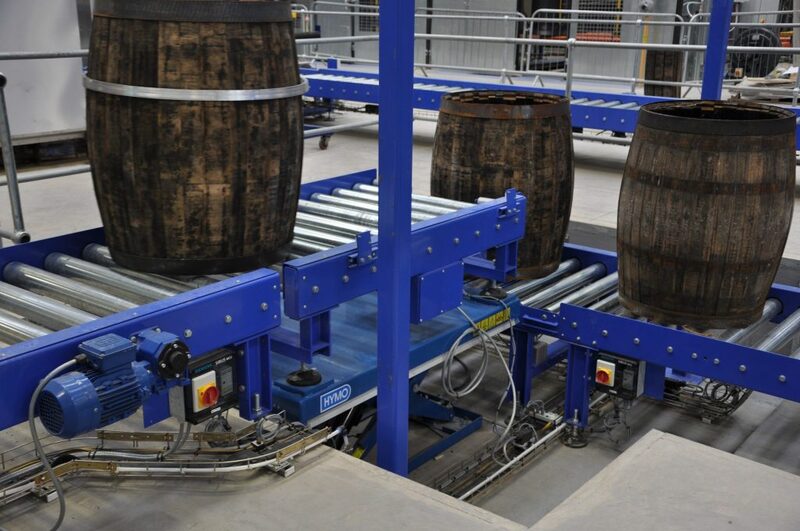 To facilitate transfers we would usually incorporate turntables or lift up chin transfer devices. 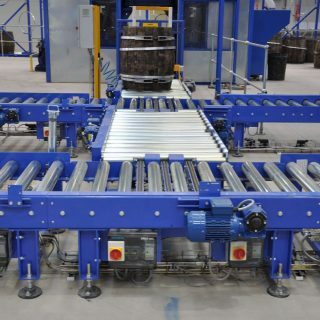 For really heavy duty applications or where access is required in the middle of the product being conveyed, we have a range of twin track roller conveyors.